New photos have revealed millions of water bottles intended for survivors of Hurricane Maria sitting on a runway in Ceiba, Puerto Rico, more than a year after the storm hit the island. The photos were taken by Abdiel Santana of the United Forces of Rapid Action agency of the Puerto Rican Police and raise questions regarding the federal government’s response to the deadly storm. 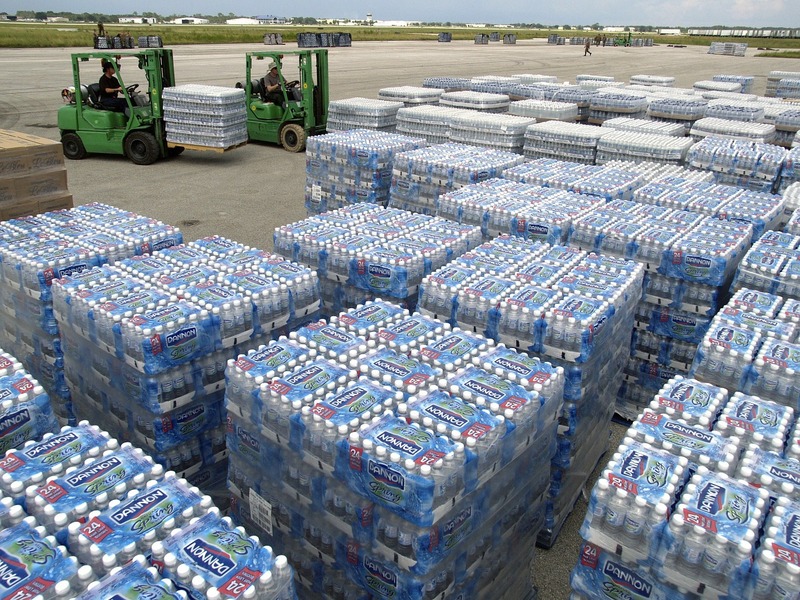 The water bottles were delivered by the Federal Emergency Management Agency (FEMA), but it is unclear why they were not distributed to residents and how they have been left sitting on the runway for a year. Marty Bahamonde, director of disaster operations at FEMA, confirmed that FEMA delivered the water but said that the agency does not track specific shipments, as reported by CBS News. While it is unclear why the water was not distributed, it also is unknown why the bottles have not been claimed as excess inventory and reported to the General Services Administration in Puerto Rico (GSO). The news comes two weeks after the U.S. government raised the official Hurricane Maria death toll from 64 to 2,975, a number that is largely attributed to a lack of supplies in the storm’s wake. The bottled water news broke on the same day President Donald Trump called his administration’s response to Hurricane Maria in Puerto Rico “an incredible, unsung success,” during a briefing on incoming Hurricane Florence, as reported by CNN.